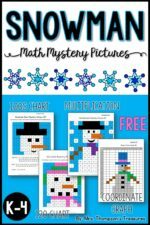 This download includes 4 unique mystery pictures of snowman using different math skills! 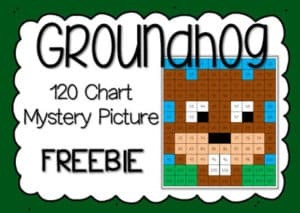 For younger students, the hundreds chart and 120 chart are a great way to practice number sense. For older students, the multiplication page helps them keep those facts fresh, and the coordinate graphing page is great for following directions and stamina! 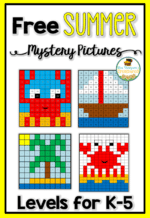 Visit my blog HERE to get the download!